If you are building a new house, then the most important aspect of your house will obviously be the roof. It needs to have a sturdy roof in order to support the structural foundation of the house. Make sure you pick a roofing company which offers roofs made with high-quality materials that last for a lifetime. 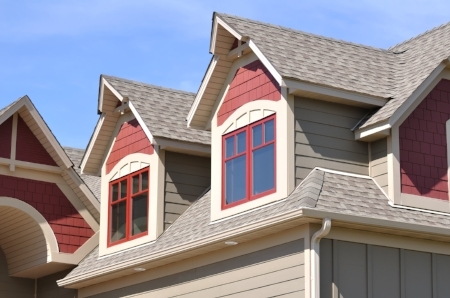 We, at Inland Home Improvements, can be the right choice for a roofer. We have been in this field since 1999 and have catered to several clients in the past. We have qualified and well-trained roofers who can install any kind of roof in the correct manner possible. We are the leading roofing manufacturers in North America and have been applauded with the Builders' choice Award several times before. With our experience, quality products, and remarkable workmanship, we have earned a solid reputation amongst our clients. So, if you are located in areas such as Cheney WA, Liberty Lake, Mead WA, Newman Lake, or Spokane, you can rely on us. Here, we have enlisted a few of the major tips while you choose a roofer for your house. Take a look. If you want to choose the right roofer, then you must opt for the one who is reliable. And for that, you need someone who has spent a number of years in this field and know what they are doing. This will prevent mistakes and deliver an error-free installation. That is why you must look at the experience of the roofer before hiring. Charges for the roofing will obviously vary from one another. So, you need to compare the prices and see which company is offering a lower rate for the roofing solutions. You must be assured of the company’s reputation before you pick their roofing solutions. You have to check the feedback and online ratings or reviews to ensure that they provide a satisfying service to all their clients. So, if after following these tips, you think we can be the right choice for you, then contact us today.